Some marketers believe marketing with web content has overtaken print media. You may or may not agree with that. Regardless, publishing quality web content is vital today – especially for generating sales leads. Clear and compelling web content generates leads, makes the sale, and builds your brand. That’s it in a nutshell. Crack this nut, and you’re well on your way to jump-starting your web content. The market is a jungle, and only the fittest survive. But with a sound marketing strategy, you can leap ahead of the competition. Today’s new methods put you in control. You can control your message. You can control the kind of content you publish. And you can control your content distribution. One piece of a sound marketing strategy is quality content. Quality web content is useful content. To be useful your content must benefit your prospects and customers. How do you publish meaningful content? First, you must write customer-focused content. It should be informative and interesting. 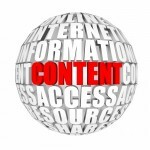 Useful and engaging web content keeps prospects interested. It also builds trust. And that builds long-term relationships. You’ll establish yourself as a “go-to” resource. You’ll be “Useful”. You’ll gain “competitive advantage”. Sound good? How exactly do you convert customers with content? Your goal is to convert prospects into leads. Next you want to turn your leads into customers. Relevant B2B web content helps you do that. Relevant content is timely and helpful. You get that by narrowing your scope. You do that by digging deeper to solve your lead’s pain points. But you have a dilemma. You don’t know when your prospect will need your products or services. That’s not too hard to do. To address that you simply write content for each segment of the sales funnel. Timely web content that offers relevant solutions resonates with prospects. That’s focused B2B copywriting. A quality story that is told to the right person at the right time will always cut through the clutter.” Now you’re engaging your prospect. When you do that, you’ll convert more prospects. But a story is only as good as its content. Let’s look at what makes stories fascinating. 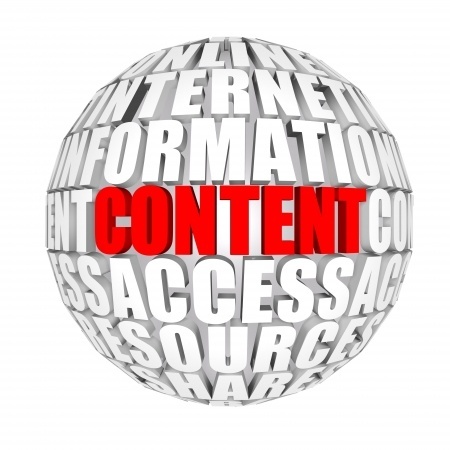 To break through the mass of information, you must publish B2B web content that’s compelling. Old media marketing methods like mass media are out. Personalized marketing is in. You can personalize marketing content with needs-focused messaging that speaks to a targeted audience. It’s easier to do than winning the lottery. This one’s a no-brainer. Nothing works better. Your content should focus on your prospect’s needs, wants and desires. This reframes selling into problem-solving. It addresses prospects on two levels – the modern brain and the lizard brain. It appeals to logic as well as emotion. To further personalize web content, you must segment your audience. Jay Baer points out in Youtility, that meaningful content helps build trust. Useful web content keeps customers coming back. Content marketing has changed marketing. Do you have a web content strategy that successfully positions your business for the future? Let me help you. As a professional B2B copywriter, I’ll boost your leads with compelling web content. I write Home pages, landing pages, and general as well as technical content for transportation and logistics companies. I give you three ways to contact me today by filling out a short form, by email, Tor by phone at 256-886-4684 or at amilo@b2bcopywriting-alexmilo.com.